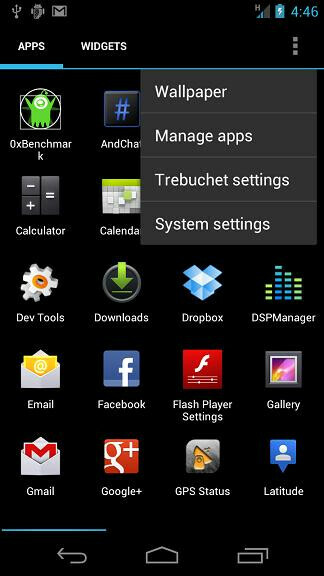 The new version of Cyanogenmod which is based on Android 4.0 Ice Cream Sandwich, isn't due out for at least another month or so, but the first new piece of the puzzle has been released in the Trebuchet launcher. The Cyanogen team has been working on a number of new features for version 9 including a new media player, file explorer and launcher, and this is the first we've seen of any of that work. 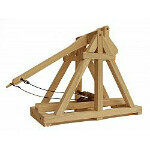 As you may have noticed from the title image on this post, a trebuchet is a type of catapult, which is a pretty good inspiration for naming the new Cyanogen launcher. It offers the same features as the stock Android launcher, but also has a few other interesting options, including the usual alternative launcher options of resizing any widget, setting a custom number of homescreens, and enabling/disabling screen rotation. On top of those, it also has a few new ones that sound pretty nice as well, like enabling/disabling the search bar, and possibly the coolest option: sorting apps in the drawer by title or install date. If you want to give it a try, you'll need a rooted device running Android 4.0.3, then just jump over to xda to download the APK. Fantastic. All i need now is a working ICS Rom for my SGS2. Same: need a ICS ROM for my SGS2. why you copying Vijay. lol. PS. the iphone is like jail, for people with knowledge.